That may be true, but if you work with, are friends with, or are in a relationship with someone on the complementary (read: opposite) side of the introvert-extrovert spectrum, we can also feel as if they belong in the insane asylum. Why? Because we’re constantly projecting our experience upon others, imagining that they take in the world in the same way that we do–which is why, curiously, we tend to hire people who are just like us. So if we’re going to really relate with the other -verts, we need to understand their axis. Extroversion is how outgoing you are. Introversion is how shy you are. Yet people aren’t binary (isn’t that confusing?!). Instead, we run along gradients. In the same way the Kinsey scale suggests that most people’s sexuality lies along a spectrum, most of us are ambiverts. As Susan Cain notes in Quiet, if you squeeze a lemon on the tongue of an introvert, he or she will salivate more than an extrovert would. Since introverts are more sensitive to stimuli, they don’t need to gather stimulation with the same fervor as extroverts. Too much stimuli–especially of the social variety–will leave them feeling drained of energy and ultimately unproductive. As we’ve noted again and again, managing your productivity is really a matter of managing your energy levels, so figuring out your introversion-extroversion orientation lends specifics to the oft ambiguous art of the recharge. As Kellogg professor Leigh Thompson argues in Creative Conspiracy, collaboration–that is, the idea-blooming, strategy-begetting kind–springs from a rhythm of individual and solo work. 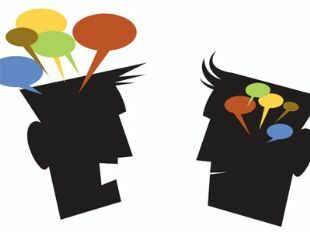 So to have a more literate conversation about introversion and extroversion and how they relate to collaboration and productivity, we need to know how best to work with either. Similarly, we need to recognise that everybody has tendencies of introversion and extroversion, so we can take care of both in ourselves, too. Give space: We should carve out negative space between meetings to recharge our social batteries. Create focus: Similarly, we should sculpt the opportunities to put our heads down and dive deep into complex problems–and bring the solutions back to the team. Attune: As Dan Pink notes in To Sell Is Human, introverts are great at attuning to another person in a one-on-one situation, which shows that introverts can have super high social intelligence. Embrace the busy: The more extroverted among us crave high levels of stimulation, so let them go after it–even if it means their schedules will be packed. Compliment extroverts: Extroverts love being social; they love to be validated socially even more. So give ’em the praise (that would embarrass an introvert). Explore: As Steve Jobs argued long ago, the more experiences you’ve had, the more ideas you have to draw from in life, catalyzing your creativity. How do you take care of the introverted and extroverted tendencies in yourself and others? Let us know in the comments.